It’s time for researchers to stop using terms like the achievement gap and student success. The sobering data on men of color in colleges is a reflection of college and university performance – so take the scrutiny off of student achievement. Outcomes for male collegians of color are lagging because postsecondary leaders aren’t held accountable for changing them. This month I attended Ensuring Success for Men of Color: Leveraging Evidence to Drive Better Policy, Practice and Effective Investment hosted by the University of Michigan’s National Center for Institutional Diversity. Heads and representatives from national, university based centers, institutes and think tanks came together with funders and postsecondary officials to “reframe” or “change the narrative” of men of color in college. The frequency in which data on black and brown male collegians have been framed almost precludes the need for me to repeat, but I will for the sake of argument. 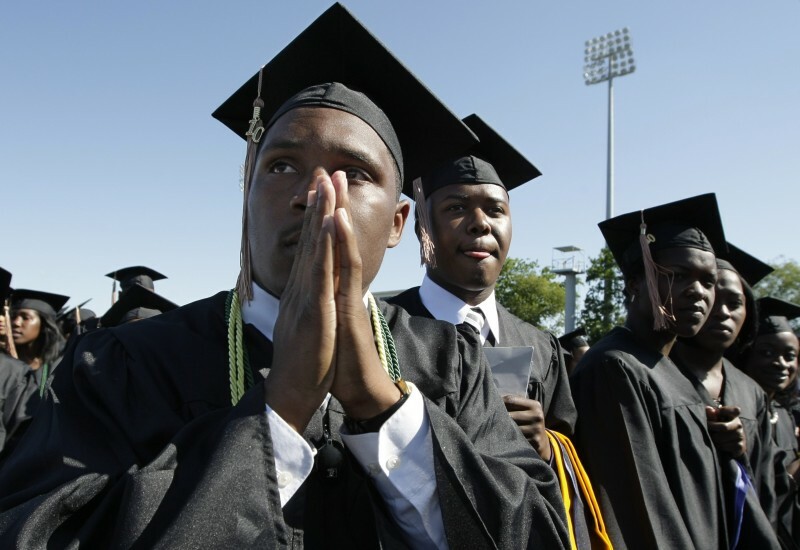 Black and Latino men four-year graduation rates are 33.2 percent and 44.8 percent respectively. Their white and Asian male peers graduate at a 57.1 percent and 64.2 percent clip. 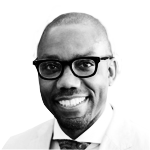 In response to data, a swell of academic literature has the “effect of centering the lack of success of young men of color as the defining commonality…and contributions [of men of color] as exceptional, not expected.” (as stated in the conference proceedings). Common titles like Motivating Black Males to Achieve in School and in Life and Narrowing the Achievement Gap: Strategies for Educating Latino, Black, and Asian Students insidiously de-emphasize institutional responsibility for graduating men of color and as a consequence, measures of institutional accountability based on inclusion are ignored. The authors of these and similar texts acknowledge and deconstruct institutional factors. However, we mitigate our efforts comparing black and brown weakness to supposed white strength. We undermine our cause when we try to fix black and brown boys and men of color. Related: How many already attend community college for free? If scholars want to rid themselves of deficit approaches (looking at weaknesses) moving forward, then we must stop using the deficit language in our speech and research. Acceptance of constructs like the achievement gap, drop out, student success and data driven may legitimize you in the academy, but they are complicit in promoting the verbal and statistical rhetoric that avoids the problem of institutional accountability. The inferred white male referent in the achievement gap construct contributes to the centuries old logic that others should be compared to whites. On its face the idea of student success lets institutional factors of the hook, which have been shown to be at least half of the reason why men of color are pushed out of college. Educators shouldn’t be data driven. We should be community driven and use data to support students. These distinctions aren’t some semantic ruse. If scholars want a revolution in how students are treated in the academy, then we must be willing to question how statistics have been used to facilitate poor outcomes among black and Latino male students. An aside — The term achievement gap is so ubiquitous that it’s hard even to find an analogous search term expressing institutional failure. Don’t offer up the trendy catch phrase opportunity gap, which is barely a milquetoast alternative. Reframing the issue means that researchers must abandon antiquated constructs. Smash up the concept of the achievement gap in tiny little pieces. And to be clear, the underrepresentation of black and brown men in higher education isn’t a result of a lack of data or knowledge on the subject. Yet even at a conference dedicated to reframing the narrative, you could readily hear the infamous, “more research is needed.” These are famous last words for most social problems addressed by university researchers before those problems are lost in committee. An alternative approach would be heighten scholarship and scrutiny on things like school/university holding power (aka retention), affordability, institutional cost per degree, employment of graduates, campus racial climate, or we can rely on the reliable institutional discrimination, racism and/or bias as well as campus graduation rate and student satisfaction. Scholars, this should be the last time you read or write anything with achievement gap in the title. Black men need more justice than comparisons and juxtapositions. Really, how much student level data do we need before black and brown minds matter? It’s long been established that many supposed good colleges aren’t so for men of color. Consequently, if scholars don’t hold institutions of higher learning accountable in our research, who will? 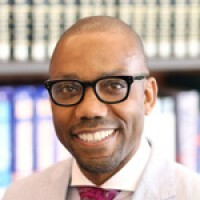 Andre Perry, founding dean of urban education at Davenport University in Grand Rapids, Mich., is the author of The GardenPath: The Miseducation of a City (2011).